Parenting isn’t easy, but we’re here to help. We support parents facing a multitude of challenges in their desire to raise their children well. Through Nurturing Parenting and Healthy Families Tennessee, we offer education and support to parents in their home. Our staff are teaching parents how to foster loving relationships and build safe homes for their children, and we are changing the future for the next generation. Through both programs, we are laying the foundation for healthy physical, cognitive and emotional development. Our goal is to empower parents and caregivers with the knowledge and skills they need to raise safe, healthy, and happy children. Prevent Child Abuse Tennessee is the largest provider of evidence-based home visiting programs in Tennessee. 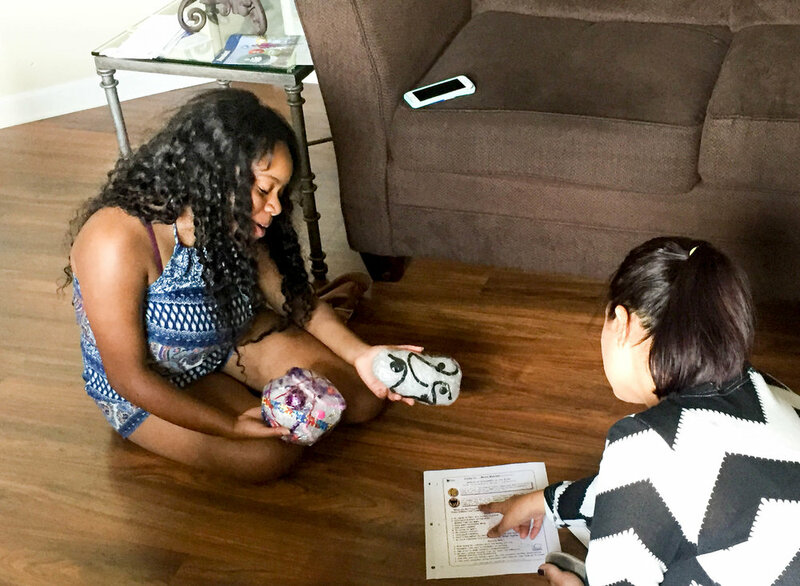 A parent in our Healthy Families Tennessee program learns about healthy brain development and the difference between a stimulated brain and a neglected brain from her home visitor. This evidence-based home visiting program provides weekly home visitation and support parents from pregnancy through when their child enters kindergarten. Our largest, most intensive program focuses on this period because it is when 80% of brain development occurs. Healthy brain development is essential for later learning and health. Home visitors meet with families weekly in their home using the Growing Great Kids curriculum to cover topics ranging from bonding with your baby, encouraging healthy child development, child safety, and many others. Our Healthy Families program has been nationally credentialed with Healthy Families America since 2008 demonstrating strict adherence to the evidence-based program model. Would you or someone you know benefit from in-home support? Fill out our referral form, and we will contact you with more information. When families face situations that impact their ability to parent, they can turn to our Nurturing Parenting Classes to help deal with day-to-day issues and stressful situations. Nurturing Parenting is a concentrated, 8-12 week evidence-based program for parents with children twelve and under. The program focuses on fostering nurturing, protective adult behaviors and safe environments for children in order to promote healthy coping skills and resiliency in children. The curriculum places greater emphasis on helping parents develop concrete parenting skills, as well as thinking about the importance of parent-child relationships.